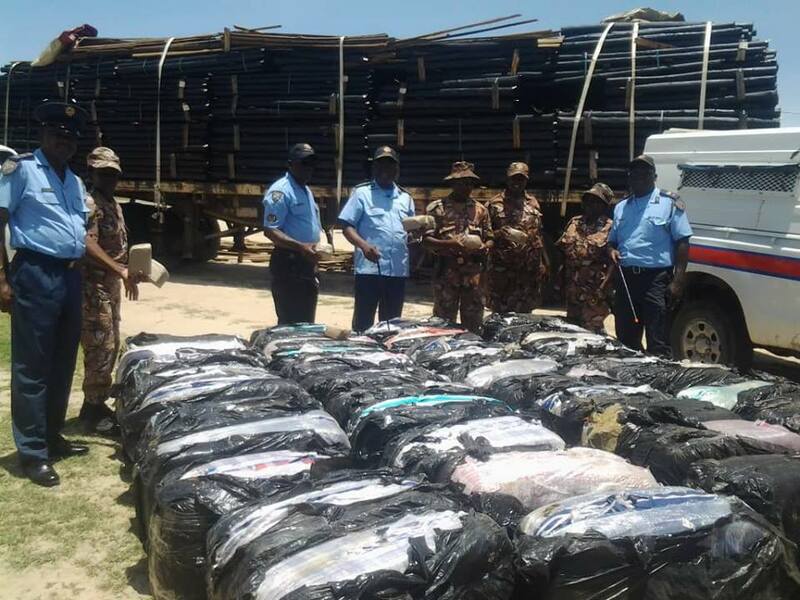 THE 46-year-old Namibian businessman who was caught red handed at the Onhuno roadblock in the Ohangwena region carrying 4 100 parcels of dagga on Thursday, will appear in the magistrate’s court at Eenhana on Monday. 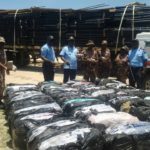 Exactly 41 bags each containing 100 parcels of dagga were found in a truck concealed amongst a consignment of wooden poles but the police officers manning the roadblock managed to detect them thanks to a tip off. A 21-year-old man who was a passenger in the truck was also arrested. The suspects were on their way from South Africa via Botswana to Oshakati. Meanwhile police spokesperson Kaume Itumba has put the street value of the consignment of dagga at about N$2 million. He identified the driver of the truck as a resident of the Onamutai village in the Oshana region who runs a transport business at Ongha village in the Ohangwena region. Ohangwena regional police commander Simeon Shindinge speculated that Oshakati was possibly to be used as “distribution centre” for the drugs.